Hi everyone. I can't believe it's nearly Summer. The weather has been a little bit all over the place the past couple of weeks but the past few days it's been lovely. The sun has been out and it's quite warm! As I am a stay-at-home mum and work from home, I do panic a little bit knowing the Summer Holidays are for 6 weeks. There's still time yet, but I am already thinking, what can I do with them? I've thought of a few places to go but 6 weeks is a long time so I am hoping many family days out, lazy days indoors and many new indoor and outdoor activities. We will see. The Summer Linky. This is my new linky that will start just a few days before Summer. Summer for us starts on 21st of June and I will start the linky on Wednesday 17th of June. It's a pretty simple idea for a linky. Anyone is welcome to link up. The whole idea of this linky is to give other people ideas on what to do during Summer. Whether it is indoor activities such as messy play, baking, cooking, tea parties or a lazy day. It can also be a post about your days out that you would like to share. I think you get the gist. ♢ Starts Wednesday and closes Monday 11.55pm. ♢ Share indoor activities, outdoor activities, days out, tutorials, etc. ♢ Please leave a badge or link at the end of your linked up post. ♢ You can post up to two posts. ♢ To be nice, comment on atleast 2 other posts. Just to be fair! ♢ Tweet your post and #SummerLinky and I will re-tweet. ♢ Old or new posts are welcome. FEATURED POST - I will choose my favourite post. FEATURED GUEST - If you would like to write something small about Summer or a post you have, feel free to email me at bethmiaelliw@outlook.com and I will consider you to be on the following weeks Featured Guest. (A sample will be up next week)! I hope you will all join next week! I look forward too reading your posts! P.S. I am looking for a co-host to help me with this linky. If you would like to help me, just e-mail me at bethmiaelliw@outlook.com Thanks! 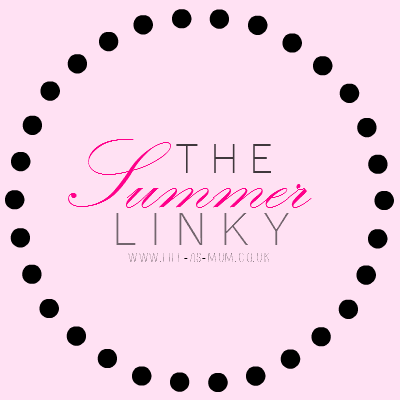 The Summer Linky will end Septmber 28th at 11.59. I have an idea for a new linky after this one! So keep an eye out.